Fresh off a three-week stint in Switzerland practicing with Team USA, Gus Kenworthy feels pumped. The freestyle skier just landed a new trick in the halfpipe, a right-side double cork 1440 where he inverts and does four full rotations in the air. If he completes the stunt in PyeongChang, South Korea, this February, it could win him a gold medal at the 2018 Winter Olympic Games, but only if he brings focus and intensity before the judges and makes these superhuman feats look effortless while completing the run of his career. That would be challenging enough, but the freeskier also heads to South Korea as the first out gay man competing in an extreme sport, and he’s now doing it on athletics’ greatest international stage. He will stare down a slopestyle course from the precipice of history. “I’m feeling the pressure for sure,” he says. His next season turned out to be his best competitively and he believes living openly improved his performance on the snow. It’s a happier life without the crushing pressures of the closet, he says. And he knows the price of secrecy. In retrospect, Kenworthy thinks the suppression contributed to the end of his five-year relationship with Macdonald. 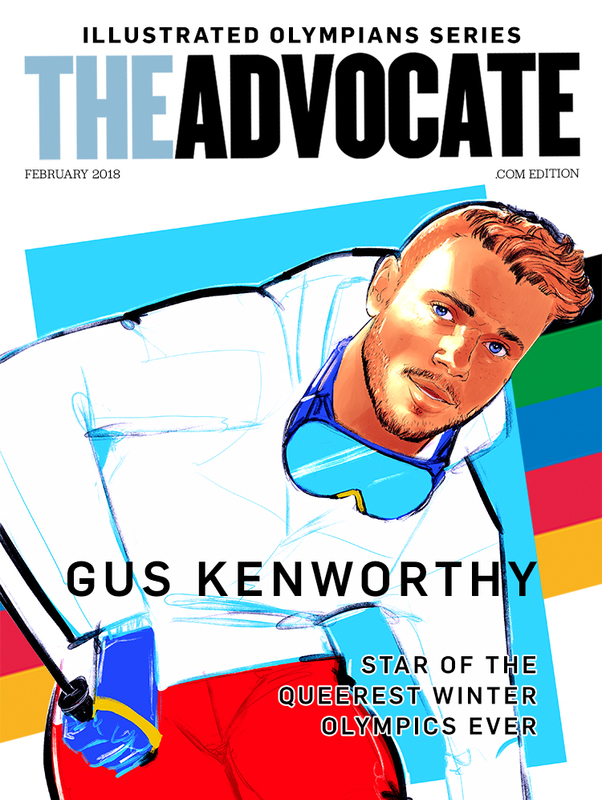 He’d always imagined coming out after his professional skiing days ended, but within a year, Kenworthy took the leap and came out, sharing his news as one of the sport’s top contenders. He knows there’s more at stake than his place on a leader board. Last summer, the Human Rights Campaign awarded Kenworthy its Visibility Award. During his acceptance speech, the skier thanked past athletes like Major League Soccer player Robbie Rogers and NBA’s Jason Collins for coming out while still wearing jerseys. Those individuals influenced Kenworthy to come out during his career, he said. Sports fans for years have hungered for a superstar who flies the rainbow flag as more than an ally. Kenworthy could be that athlete. The U.S. Ski and Snowboard Olympic team rankings for 2018 list Kenworthy at number two in slopestyle and number four in half pipe, and he also enjoys a top 100 ranking in big air. If he leaves South Korea with gold around his neck, he could be remembered as the first out gay man to dominate a Winter Olympics.